Canadian Sales Of Actigard Fungicide To Be Discontinued After 2015 | Chatham-Kent Agriculture Development | We Grow For the World! Tomato growers take note. 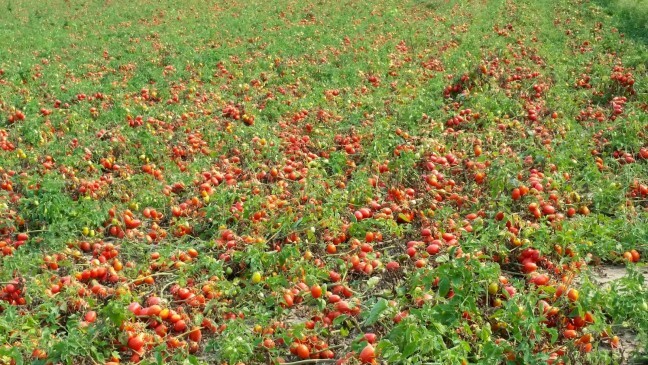 For more on managing bacterial diseases in field tomatoes, see http://onvegetables.com/2015/03/26/managing-bacterial-spot-in-ontario-field-tomato-production-time-to-hit-the-refresh-button/. Ontario tobacco growers are advised that the fungicide Actigard 50 WG will no longer be available for sale in Canada after the 2015 season. In Canada, Actigard 50 WG (active ingredient acibenzolar-S-methyl) is registered for the control of blue mold in tobacco fields, as well as the suppression of certain bacterial diseases of tomato. This decision was made by the registrant, Syngenta Canada, as a result of declining sales of Actigard in Canada over the last several years. Syngenta Canada will continue to maintain the Canadian registration of Actigard, so any product purchased this year can still be used on tobacco next year, however after this field season Canadian growers will not be able to purchase new material. Syngenta suggests that Actigard be used within three years of purchase. Aliette WDG (fosetyl-Al) and Quadris Flowable (azoxystrobin) are also registered for the control of blue mold in Ontario tobacco fields. Actigard 50 WG is available from Syngenta until October 2015. Growers wishing to purchase Actigard for use next year should do so by then.